Planning your trip and wondering when to visit Malaysia? 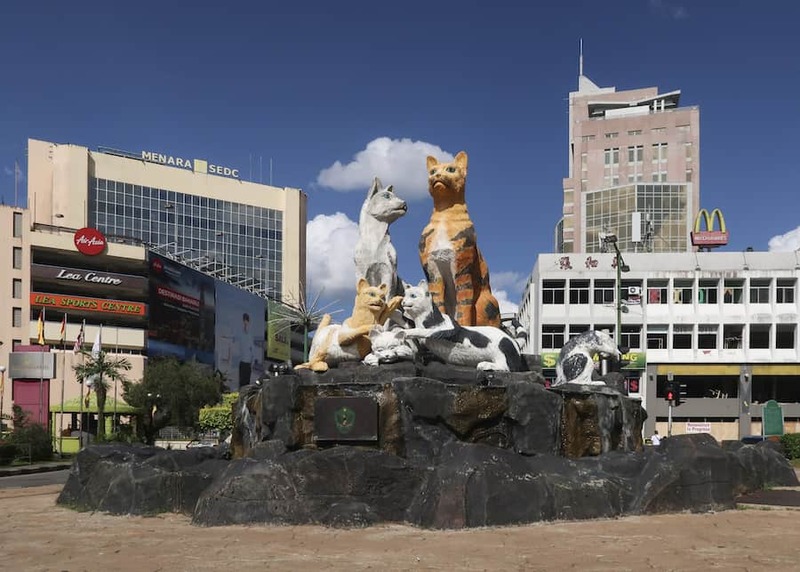 In this guide, we tell you the best time to visit Malaysia as well as the best time to go to Langkawi, the best time to visit Kuala Lumpur weather wise, the best time to go to Borneo and many other specific destinations in Malaysia. The best time to visit Malaysia weather wise depends on monsoon periods (rainy or wet seasons) as temperatures do not vary much in Malaysia year round, hovering around thirty degrees Celcius. You can also expect any time of year to be humid. The good news is that the wettest periods differ depending on where you are going in Malaysia so at any time of year you can pick a great spot to visit. The best time to go to Malaysia if you are visiting the western side is November to February. There is less rainfall at these times and it’s not as humid. The best time to travel to Malaysia if you are visiting the east coast or Borneo is at the opposite time of year, from April to October. This is because the Northeast monsoon is from around November to March. There is less rain then but note that there can be terrible smog in Malaysia in the later months of this period. It is due to forest fires in Indonesia and can be bad enough to delay flights and stop you from venturing outside. 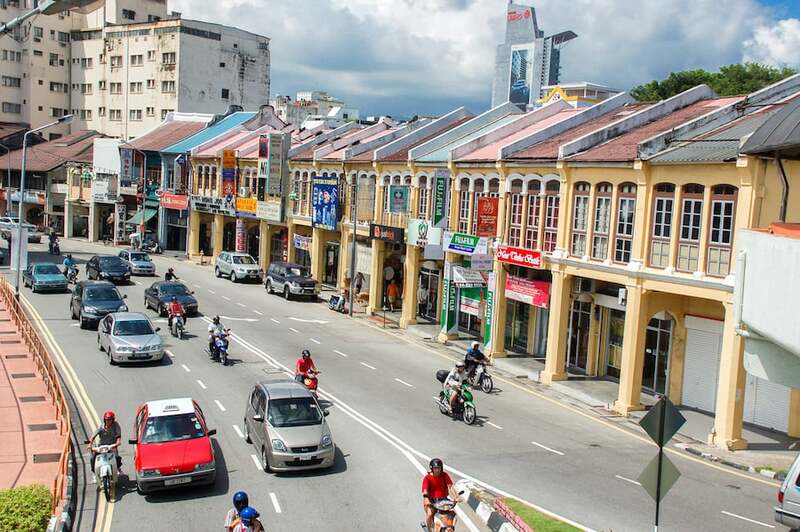 The other thing to take into account with the Malaysia best time to visit is holiday times. December and January can see the most tourists, as well as Chinese New Years, making this a more expensive time to visit. Malaysian school holidays can also have an impact. These fall from mid November to early January, in March, June and in August. If you are looking for a good time to visit Malaysia for festivals, Chinese New Years is a big one as well as the Hindu celebration of Thaipusam. Sabah Fest in May makes this a best time to visit Sabah. It’s a week long festival showcasing Sabahan culture. Whereas the other side of Borneo in Sarawak has the Gawai Festival in June. 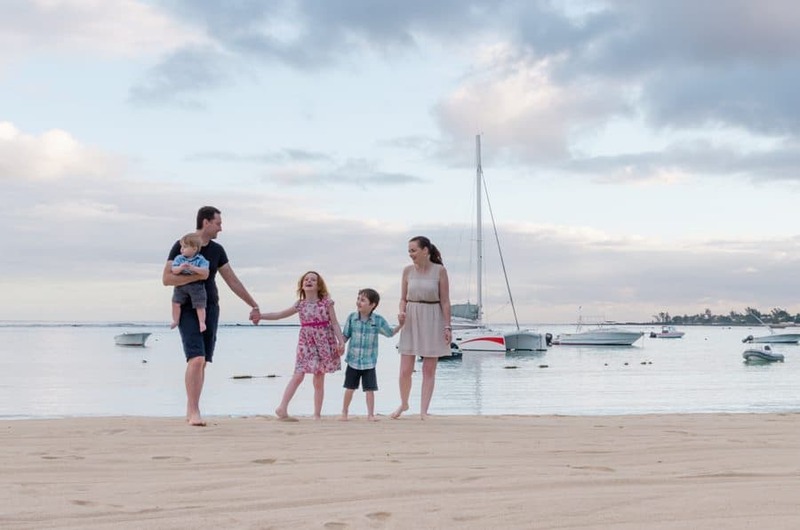 If you are looking for the best time to visit Malaysia for honeymoons then it depends which side of the peninsular you are going to. If you are looking at Langkawi or somewhere on the west coast, the Malaysia best time to go is November to February. If you are looking at the best time to visit east coast Malaysia, this is April to October. Note that visiting in the rainy season is often not a big deal. Showers tend to last a couple of hours maximum or even happen at night on the west coast. On the east coast, it can have more of an impact with places like the Perhentian Islands partly shutting down. So, when is the best time to visit Malaysia? If you want more specific information about the best time of year to visit Malaysia based on your destination, keep reading! 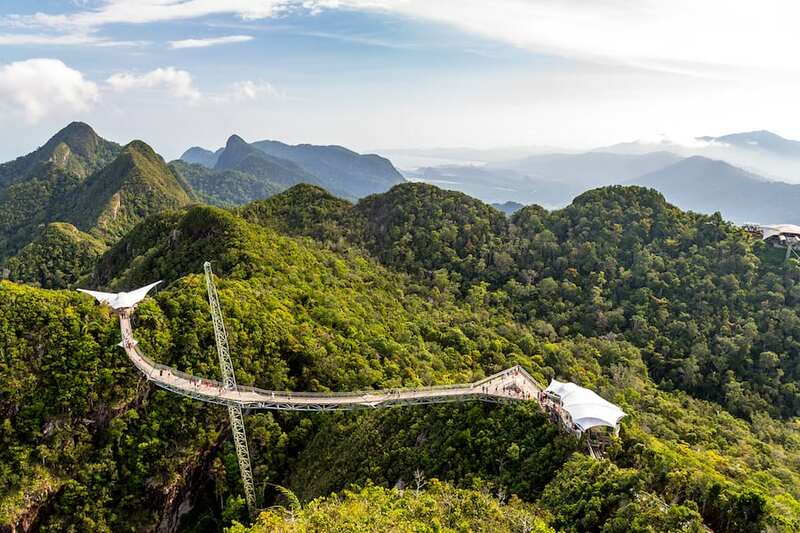 If you are looking for the best time to travel to Langkawi, a small island off Malaysia’s west coast, you should head there from November to April. There is less rainfall at this time and it’s noticeably less humid.Temperatures range from 29-35 degrees at this time. They are lower during the rainy season from May to October, but it is more humid. The rainy season is at its worst in September and October and this is when there is most likely to be smog from Indonesia which can affect your holiday. Outside of these two months, it can still be very pleasant to visit Langkawi in the rainy season. The best time for Langkawi is also impacted by peak visitor numbers which occur January to March. This makes the best time to visit Langkawi November, December and April. The best time to go to Kuala Lumpur is anytime! Thanks to mountainous valleys in several directions, Kuala Lumpur is less affected by moonsoon winds. There can be rains but they usually don’t last for more than a couple of hours and there are many covered walkways and indoor attractions in Kuala Lumpur so this should not affect your holiday much. Kuala Lumpur temperatures vary from 26 to 35 degrees year round and it’s humid. 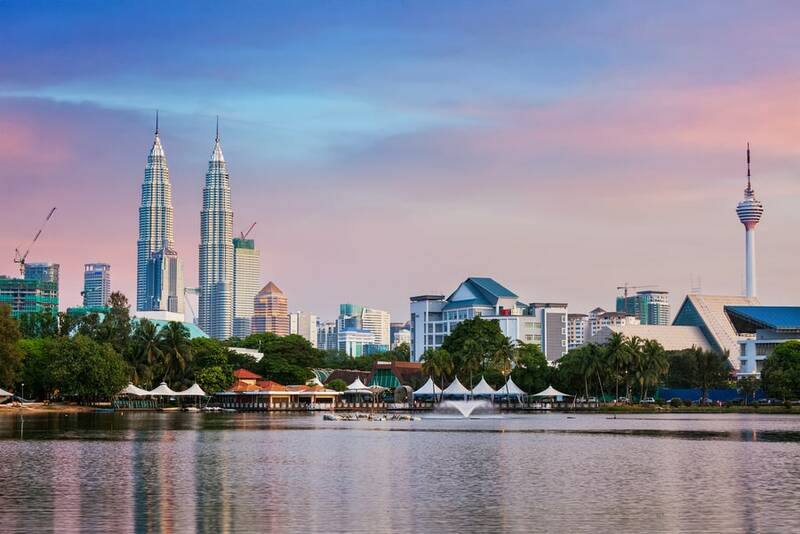 If you want to know the absolute best time to travel to Kuala Lumpur, it is May to July when you can expect the least rain and clearest skies. Kuala Lumpur can have bad air pollution which can become terrible thanks to the forest fires in Indonesia (know as the haze). It varies from year to year and may have no affect or be so bad that you won’t want to leave your hotel room. This can start from June onwards. The best time to visit Kuala Lumpur and Langkawi is February. Kuala Lumpur has less rain at this time than surrounding months and it’s a great time of year in Langkawi. The best time to travel to Borneo really depends on which part of Borneo you are visiting and, no matter what time of year, it will be hot and humid and there may be rain. The general rule is that the best time of year to visit Borneo is April to October when it is dry season so there is less rain and there is more chance of seeing orangutans and other wildlife. This is also peak tourist time so you should book ahead for popular areas. If you are a diver, the Borneo best time to visit is from April to December with best visibility in July and August when it can be amazing. The worst time to visit is January and December as these are the wettest months and there are rough seas. 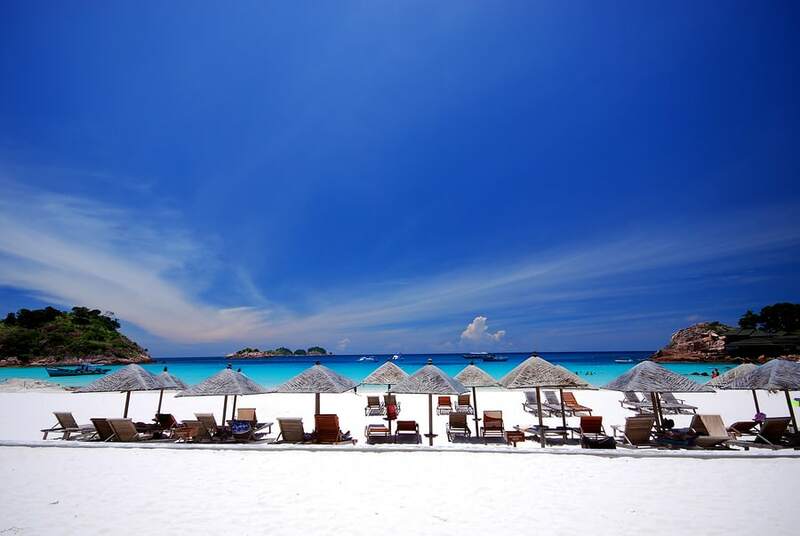 The best time to visit Perhentian Islands is in the dry season from April to September. The moonsoon is very heavy in this part of Malaysia and tourist activity comes to a standstill from October to March with many businesses on the island closed and it is much harder to get a boat across. The moonsoon can start earlier and finish later. This is a popular time to visit so you should book ahead. 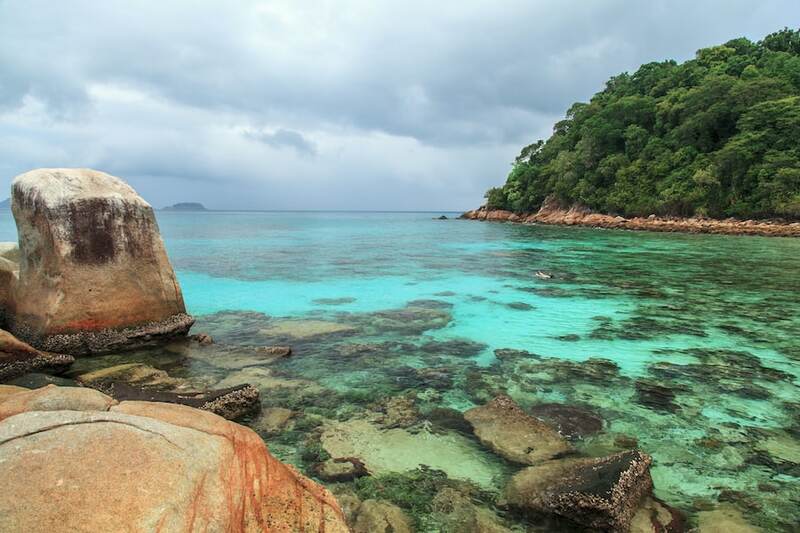 The best time to go to Perhentian Islands during the dry season is April to June if you want less tourists. However, if you are a diver, you are better off visiting during the very popular months of August and September when visibility is best. The best time to visit Tioman Island is between March and October. Like the Perhentian Islands, the island comes to a standstill during the monsoon from the end of October to the beginning of March. Most businesses are shut, it rains a lot and underwater visibility is bad. The peak times to visit Tioman Island are in Malaysian and Singapore school holidays so it’s best to avoid these periods as accommodation prices sky-rocket. These take place in March, June and September. This makes the best time to go to Tioman Island April, May, July, August and early October. The best time to travel to Penang is during the dry season which is November to February with March and April also being pleasant. February to April are the best time to go to Penang if you also want to avoid crowds. If you prefer things more lively then visit in December and January. Chinese New Years is also a fun time to be in Penang. Read more Malaysian travel advice here and check out the top 20 best places to visit in Malaysia during your trip! Joshua is an Australian who has fallen in love with Malaysia! He explores Malaysia at least a few times a year and has previously lived in Penang.